For all the house cats out there, this section is for you. Cowtown has a top notch supply of litter and litter boxes. We’ve got a variety of clumping and non-clumping formulas. 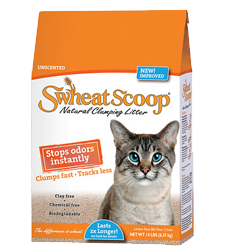 For the environmentalists, we have Yesterday’s New which is made of recycled paper, or the all-natural and biodegradable Feline Fresh for those of you with allergies, try WC Cat it’s 99% dust free! 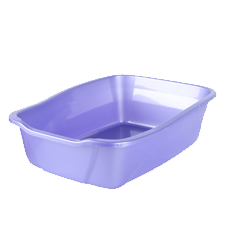 As for litter boxes, we have a variety of sifting, enclosed, and high sided pans. We even have some self-cleaning boxes, which makes life so much easier for you! 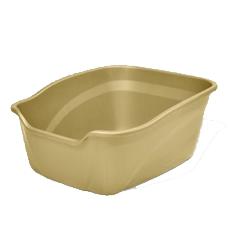 Here are just a few of the more popular litters/litter pans that we carry. 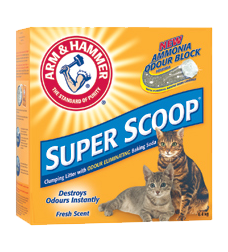 An odour-free home starts with ARM & HAMMER Super Scoop Clumping Litter with Ammonia Odour Block formula. It combines powerful baking soda crystals with ammonia odour neutralizers to eliminate the toughest odours on contact. Plus a fresh scent is released every time your cat uses the box. Provides rock-solid clumping for easy removal; 99% dust free and low- tracking. 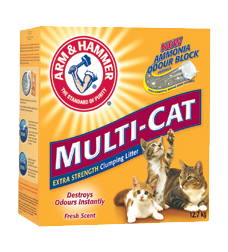 The more cats you have, the more you need the extra-strength odour elimination of ARM & HAMMER Multi-Cat Strength Clumping Litter with Ammonia Odour Block formula. 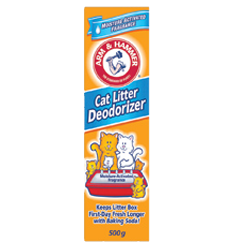 It combines powerful baking soda crystals with ammonia odour neutralizers to eliminate the toughest odours on contact, no matter how many cats you have. Plus a fresh scent is released every time your cat uses the box. Provides rock-solid clumping for easy removal; 99% dust free and low- tracking. 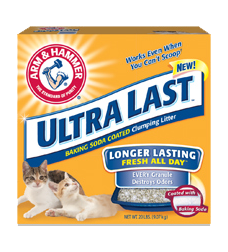 ARM & HAMMER Ultra Last Clumping Litter is specifically formulated to deliver longer lasting odour control, even when you can?t scoop! Each ARM & HAMMER Ultra Last granule is coated with odour-neutralizing Baking Soda and fortified with powerful malodour counteractants, for a combination that provides long lasting odour protection. 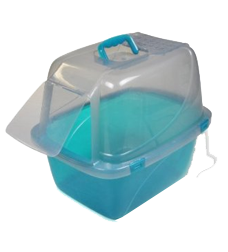 Add an extra boost of freshness to your litter box. ARM & HAMMER Baking Soda destroys odours instantly in all types of litter so your box stays first-day fresh longer. Moisture activated scent refreshes litter every time your cat uses the box, and innovative technology helps prevent clumps from sticking to the bottom of your box. Our premium clumping brand for homes with one cat. 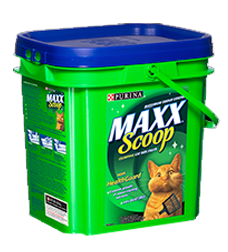 Purina Maxx Scoop is Purina’s premium brand of clumping cat litter for single-cat households. Maxx Scoop is formulated with HealthGuard, an effective antibacterial agent to control the growth of odour-causing bacteria, helping minimize unpleasant smells. You get maximum odour control through a moisture-activated deodorant system. Because Maxx Scoop is made from 100% bentonite clay, it is a firmer clumping formula. This further controls odours and also allows for complete removal of waste. 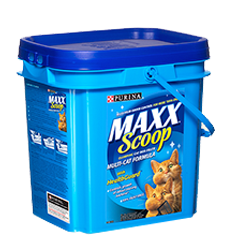 With Maxx Scoop’s 99% dust free formula, you get virtually no dust in the air you (and your cats) breathe. A virtually dust-free environment makes for a clean, healthy home. 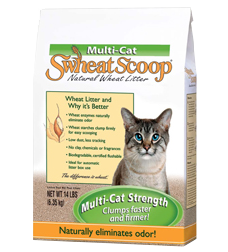 Thanks to our patented process, this litter’s natural wheat enzymes work continuously to neutralize litter box odor, no matter how many cats you own. Clumps firmly for easy scooping. Through this same process, natural wheat starches are exposed to form firm, solid clumps when they come in contact with moisture. So you can scoop them out with ease. Wheat also makes for a neater litter that doesn’t get tracked around the house or raise clay dust clouds when poured. 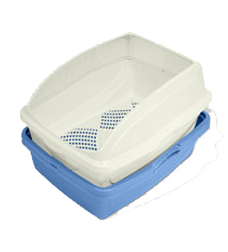 Ideal for multiple cat households or households with large cats who like to dig: high sides reduce litter scatter. Ideal for owners who want the benefits of litter scoop free maintenance but have cats uncomfortable using enclosed pans. Ideal for multiple cat households or households with large cats.